From June 20th to the 24th, while the college students have left for summer break and campus enters the quieter months, there will still be a bustle of eager participation and innovative minds at the College of Engineering. Middle and high school students from across the United States will convene in Philadelphia for the MESA National Championships. 10 teams, each representing a different state, will be presenting their engineering projects on North Broad. 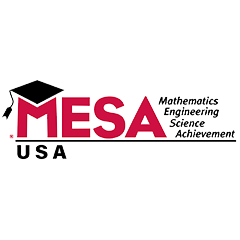 MESA, short for Math, Engineering, and Science Achievement, is an education program for K-12 students aimed at increasing exposure to these topics and enrich their education. About 50,000 students benefit from MESA, through extracurricular opportunities for students to learn skills by working with engineering students and taking on real-life science challenges. Pennsylvania is one of only two states with MESA based at an engineering school. Dr. Jamie Bracey, the Director of STEM Education, Outreach, and Research at the College, leads the state's MESA program and sees that connection as a major advantage. Engineering college students work with their younger peers at schools throughout the city. For the young students, many of whom come from lower income and underrepresented minorities, this might be their first encounter of someone working in science or engineering that looks like them. This can be inspiring and open new doors to possibilities in STEM. Each MESA competition team is comprised of eight students. Bioengineering is this year's focus, (one of the four majors at the Temple's College of Engineering). Students have designed and built low-cost prosthetic hands for their state competitions. The groups advancing to Philadelphia will present their work and discuss what they did to arrive at their model. Dr. Bracey noted on the opportunity to work on real-life projects, which is rare among STEM enrichment programs. "What sets this initiative apart is across the United States is it's one of the few that comes out with an actual working engineered prototype at the middle school and high school level," she said. "Many of the competitions in the United States, you have to come with a good concept and you have to be able to communicate it well. What the students tell us, in our research across the country, is this is the only program of its type that makes you engineer something, and demonstrate it, and you better hope it travels well, and you need to communicate. They have to do research, write a technical paper, they have to make it through oral competition, there's a presentation competition, and then there's a demonstration to prove that this engineered device actually works." Founded in 2011, the Pennsylvania MESA chapter can be counted as a contributor to the growth of the College of Engineering particularly for minority groups. Students who matriculate to Temple from the program have experience and are better prepared to take on the curriculum. Since they worked with Temple students, they have connections to those student groupslike the National Society for Black Engineers and the Society of Professional Hispanic Engineers, many of whom might have participated in MESA themselves. The dedication to nurturing underrepresented students in STEM fields is paying off. During National Engineers Week 2017, a gala event was held to celebrate the College's new Center for Inclusive Competition in Engineering. The event drew participation from all student organizations, despite being the only event for which students paid admission that week. Dr. Bracey also noted that four members of Temple's Class of 2021, which will start in the fall, are siblings of MESA alum. It's that experience with others that makes MESA so powerful. Dr. Bracey, who left a sales career to advocate for student programs when she couldn't find STEM resources for her then young sons, and found her way to this role. She refers to the MESA as a cognitive apprenticeship model. In this master-novice relationship the learning goes both ways, in that the teacher becomes more aware of the process of learning a new skill which enhances the conveyance in the teaching process. It builds a bond between the two. Dr. Bracey points out that African-American culture makes these students more receptive to intergenerational relationships and learning, something the cognitive apprenticeship model utilizes. "You can't be a missionary anymore," Dr. Bracey said about teaching students. This means adapting pedagogy and models to better connect with students. MESA helps to train teachers in Philadelphia and other regions, with the added benefit of offering Act 48 accreditation for teachers' annual learning requirements. The School District of Philadelphia, one of the largest in the nation, benefits from working with partners to accomplish their goals. Dr. Cheryl Logan, Chief Academic Officer of the district, noted that MESA helps fill an area of need . "MESA brings energy, ideas, certainly a belief system that children who are underrepresented in those careers that we need to do our due diligence, plus extra, to ensure that they are supported as they go through that process," she said. "A lot of the issues with people in color in STEM careers is the attrition. They may start off very gung-ho but then they get isolated because there aren't as many folks that look like them. I think that's part of their work, besides having opportunities for kids to be successful." The MESA program has excellent partners helping local students. At Roxborough High School, a five-year grant from the Department of Health and Human Services has fueled student interest and created the STE(A)M Collaborative Learning Lab (with the A for the arts). With help from local government, non-profits, and District 1199, a local union for hospital and health care workers, more education about science, engineering, and health care is available. After Dr. Bracey worked with the teachers on development, MESA opened a chapter at the school, based in the STE(A)M lab with students focusing on various fields, ranging from biotechnology to kinesiology to web design. Roxborough Project Lead Sarah Robbins has seen changes in students. "I've seen an interest in what they're doing grow, an interest in engineering grow," she said. "The process that engineering design requires has allowed participating students to grow in how they build things, how they try again, the idea that they have to keep trying, keep perfecting something. Working with the team, seeing whose device in working and what they did really well, what I did that I want to improve on, and being more critical about choices they're making, noticing what they're good at and what someone else is really good at, that's been special. It's pushed them to hold themselves accountable in multiple realms. They're checking in more with us about their academics all around, about scholarship opportunities and other opportunities. It's been good for them all around." Josiah Muledi got involved with MESA while attending GW Carver High School, a school focused on science and engineering not far from Temple's campus. Interesting in coding, he joined a summer program and developed his own game from Bootstrap, a programming platform for developing mobile apps. He currently attends Community College of Philadelphia and looks to matriculate to Temple University. He's also looking to launch a start-up tech company with some friends. He sees MESA as a gateway for students who don't have much exposure in STEM to try new things. "All you need is an opportunity to do well," he said. "As long as you take the shot and go with it, you're fine. I've been with MESA that past four years and it's done me well. As long as you get the skills you're taught through the program and the classes, you should be fine." MESA will host a variety of events on the Temple campus as part of the national competition. Middle and high schoolers will present to judges, tour the city, and meet distinguished guests.